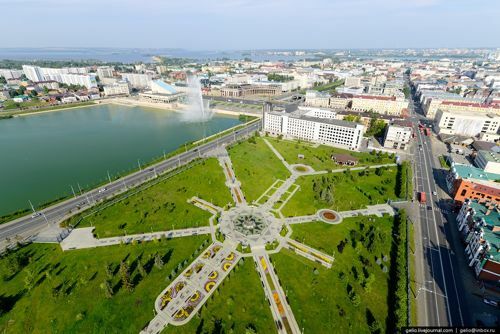 Tourists groups come to the capital of Tatarstan regularly as there are plenty of things to see and many attractions to be visited. Once you are in the city you may start with rubbing shoulders with the locals in Bauman Street, get a culture hit at he the Hermitage-Kazan center, explore the Kremlin, World Heritage-listed, the Kazan Kremlin is the only surviving Tatar fortress in Russia parts of it dating back to the 16th and 17th centuries. 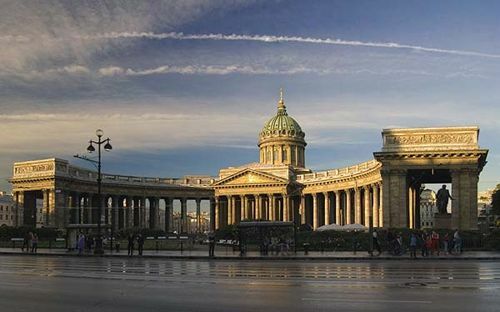 Built at the request of the Ivan the Terrible, the bright white sandstone walls encircle the city’s historic center filled with age-old buildings. Highlights include the Kul Sharif Mosque, the Hermitage and the Tatarstan Museum of Natural History. These are just a few of the exciting places that any tourist will have access and an opportunity to explore. Our company provided coach hiring services for many years. We have the required experience and well-established contacts with leasing companies and franchised dealers that can provide the vehicles for us in the quantities we need. Whatever our client needs will be when they come to Kazan, our company is capable of providing the best services when a coach is required. The supplied transport comes with functional specifications and complies with all the safety regulations. 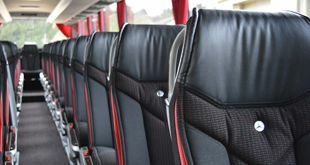 The standard features of the coaches include stereo and DVD systems, climate controls, air conditioning, WC and tea/coffee making stations. 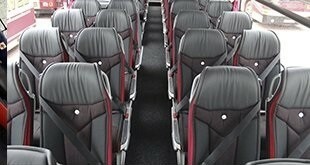 All the buses are modern, spacious and very enjoyable to travel in. Well, the respected coach’s brands are available to our clients. These brands include MAN, Volvo, Scania, Van Hool, and the others. At additional request may provide our customers with VIP coaches that have more space inside, have better seats and are specked even better. Also, the Wi-Fi systems can be fitted in if it is needed for the customers. Our drivers are exceptional professionals who have been working in this environment for many years. They now the streets of Kazan and all the roots of the city exceptionally well. Due to this fact, the time spent onboard will always be at its minimum, and the final points of every destination will be reached shortly. They will help our clients to handle their luggage at the place of pick up, departures and at the times of arrival at hotels. All of them can communicate to passengers in English and also in a few other languages. They can answer some common questions and give you suggestions of where to have a not expensive and a good quality meal or where to buy souvenirs at reasonable prices. Please contact our salesperson who will receive your request on our behalf. Please state the dates and the number of people coming in the group. The contact can be made over the phone or in writing on email or social network. We can also give advice based on our experience and current circumstances. Once we get agreed, the clients will be advised to make payment for reservations and receive our confirmation.